Sometimes the trials of life bring out the best in us. 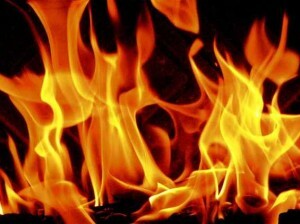 While the Mantralaya Building was on fire, some government staffers were on the top of the burning building trying to save the national flag. 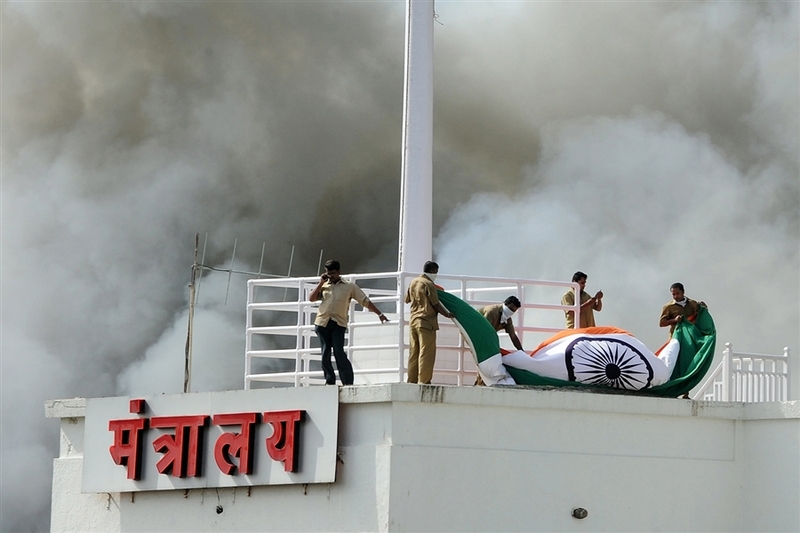 This photograph shows them un-hoisting the tricolour and folding it while there is thick smoke on the background.